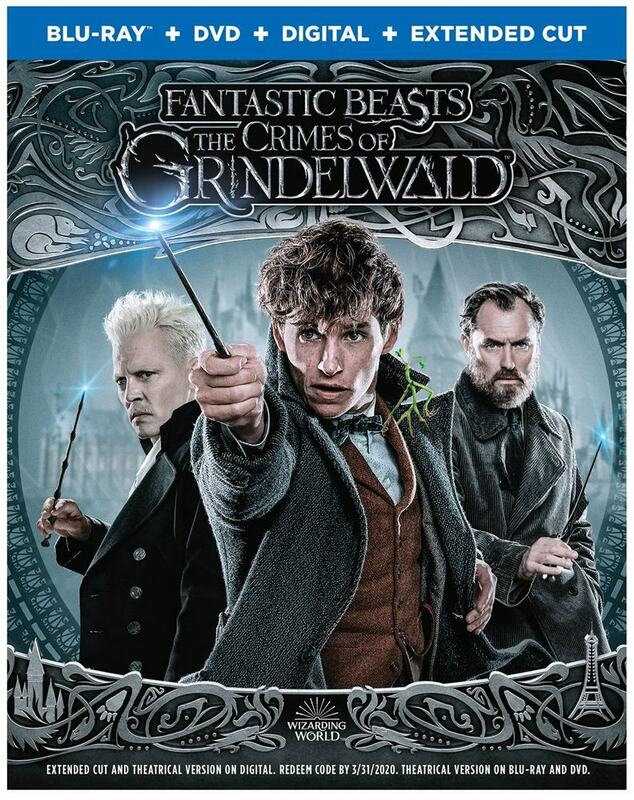 The second film in the Fantastic Beasts series will be available for home viewing in just a month. Warner Brothers has announced that The Crimes of Grindelwald will be released for digital streaming on February 15, 2019. The DVD / Blu-ray release arrives one month later on March 12, 2019. Notably, the March releases will feature an “extended edition” which will add several deleted scenes to the movie. The names of these scenes are still under wraps but may leak in advance, so stay tuned! The deleted scenes will be a big deal in the fandom, as the additional material from J.K. Rowling may add important details to the story. With no Fantastic Beasts books by Rowling to refer to, we can only get canon from what we see on screen. Check out the various versions, including 3D and 4K if you’re into those formats, here on Amazon. Editor’s note: Johnny Depp, who co-stars in this film, has been repeatedly accused of violence. He allegedly beat his ex-wife Amber Heard (read the accusations by Heard and Depp’s former associates). J.K. Rowling responded to the controversy. In July 2018, Depp was accused of punching a crew member on the set of a film in April 2017. In October 2018, Depp responded to the accusations. Why are we telling you this?